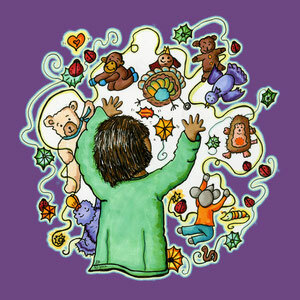 Hours of imaginative storytelling that promotes literacy and creativity! 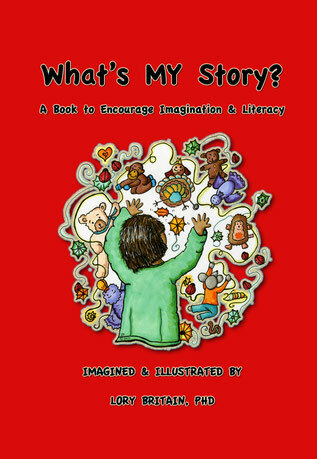 This unique wordless book includes 12 imaginative story creation scenes that offer limitless possibilities for "my story". Quietly pouring over this book alone or co-creating with a beloved adult, children develop and enhance imagination, language and emerging literacy skills. Available as an e-book for those surprise "waiting" times. Discover beautiful bags and more made from this book art.